First, it was KFC New Zealand getting the KFC scented candle. 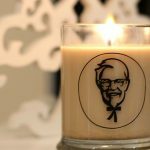 Now, we hear KFC UK is getting a KFC scented candle too. However, this time, instead of smelling like a KFC restaurant, your room will be filled with the tantalizing aroma of KFC’s signature gravy. You know, that sauce that lather over the mashed potato? Yeah, that gravy. I don’t know, man. The gravy sure is tasty, but I am not quite sure if I want to have the lingering smell of gravy in my home. But if you have such a desire, keep reading to find out how you can get your hands on one. If have read till here, it is safe to assume you want to have a gravy scented candle and if so, we good great news: you don’t even need to buy to experience the gravy aroma. It is free. There’s a catch, though. Only 230 such candles are being offered and one could be yours if Lady Luck favors you. 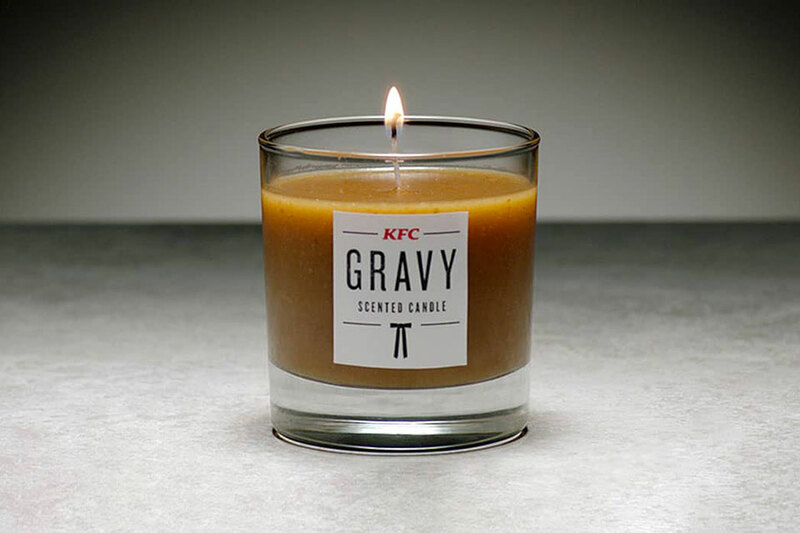 If you are in the U.K., then head on down to this KFC page to have a shot in winning the KFC Gravy Scented Candle. That is it. That’s all you have to do, apparently. Not content with just filling your sense of smell, KFC UK has setup a thing call KFChill experience where you can treat your auditory sense with sounds of frying chicken, falling fries, or simmering gravy. 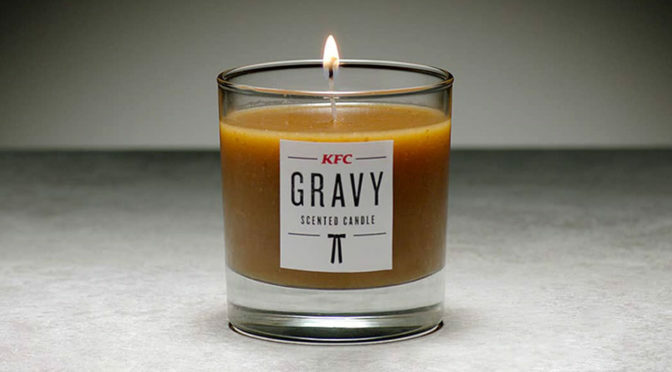 The latter is, no doubt, the best companion sound effect to go with the KFC Gravy Scented Candle. Clearly, the KFC Gravy Scented Candle and the KFChill experience are marketing campaigns to increase the American fast food chain’s visibility, but who knows? It may just trigger your desire to eat KFC. Wait, perhaps, that was the actual motive? Whatever it is, it sure puts a smile on our face. KFC isn’t new to wacky marketing stuns. 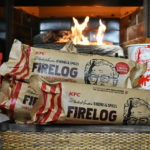 During the last Holiday season, KFC had released a fried chicken-scented firelog, while in 2017, KFC Japan had a fried chicken-scented bath bomb. 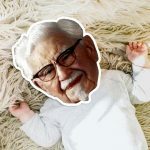 These wacky offerings joined a series of others equally wacky, if not even more wacky products, including KFC-flavored nail polish, a Colonel Sander-themed RFID dome tent, edible fried chicken bouquet, and a bizarre campaign that offered to give anyone who’s willing name this newborn baby after Colonel Sander.